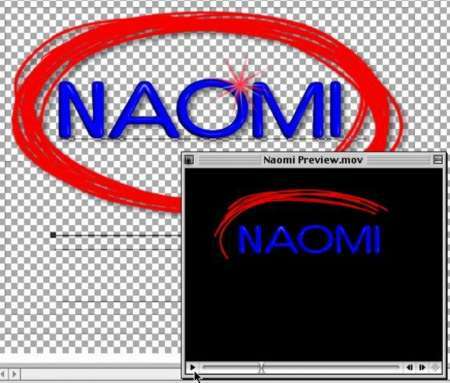 PROS: Can quickly create approximately 1300 dynamic effects from the supplied preanimated DVFonts, textures, and objects. Can be easily exported as a QuickTime and then imported into your NLE to use as desired. 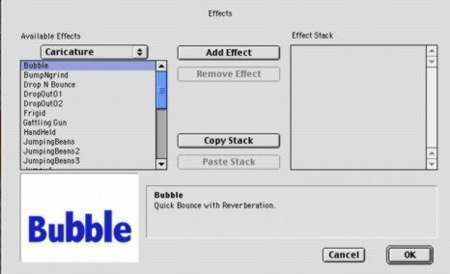 Provides the fastest way yet to get some very cool animated text effects. Solid, error-free program (not one crash or freeze). CONS: No tutorial. Can sometimes have a "canned" look due to the limitations in font selection (i.e. 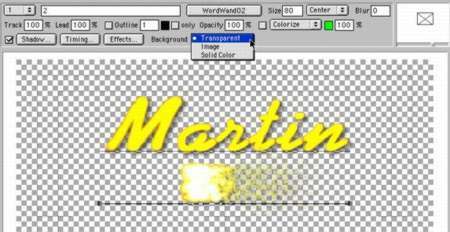 you cannot animate any font of your choosing - you are required to use the special DVFonts that are already preanimated.) Kerning is slow and tedious. Requires USB copy protection hardware key. This is a wee bit difficult to explain in one-dimensional print: text that you create in India Pro can do almost anything you can imagine - walk, dance, jiggle, smoke, flame, boogie, defy gravity, wave, bubble, spin like dice. You are basically just a point and click away from instant grunge, handwritten script, rotating text, metallic glisten, or light flash. Welcome to "the world's only application that types animated fonts." Every now and then, a truly exciting, ground-breaking tool comes along. 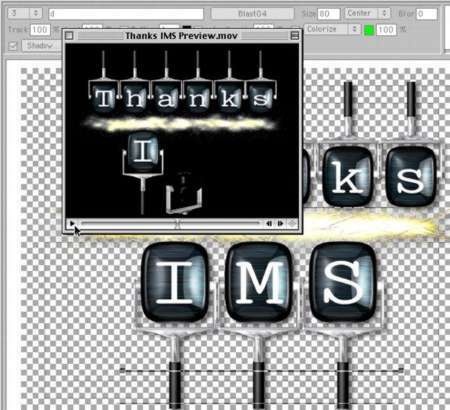 When we look back over the evolution of DV media creation tools, India Pro will stand out as a pioneer in the creation of animated text. With this software, what once could take hours to create, can now be done in minutes. And time is money. This is by no means a perfect software program. (Note my frustrations mentioned here and there.) But considering that this is only version 1, I'm very excited about what the future holds for India Pro. The next thing I noticed was that the documentation was a bit skimpy - and that there was no tutorial included (nor one on their web site). It is always a mystery to me why a company introducing new software does not provide a helpful tutorial to minimize the learning curve. However, to acknowledge the simplicity of the interface, after spending around 2-3 hours of using the software and reading the manual, it was quite easy to begin creating almost anything I wanted to do. STEP ONE: This is the first window you see when you open India Pro. The active purple line is the first track for your project. As the User Manual indicates, "A track is the starting point for every moving element. 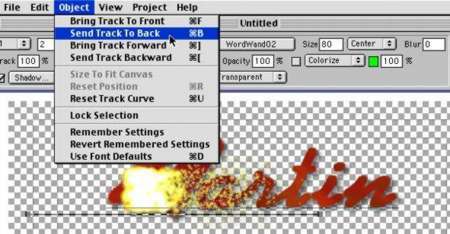 Any element, whether it's a font, object, texture, image, or movie, must reside on a track." You can add multiple tracks (and elements) as desired. STEP TWO: In the "Text Edit Field" (see mouse pointer) you type the letters that you want on track one of your project. It instantly shows up in the main window on the active purple line. Next, after selecting your "Flavor" you can pick a "Category" from within that flavor. In this example (see above) I have selected a DVFont as my Flavor. But I want to change from a "walking" font to a "handwritten" font, which is very easy and quick to do by simply scrolling through the category menus. As you will note above left, within the Handwritten category, there are several different styles of handwriting to choose from: Bristlebrush, Draft, Hand, Marker, Oilbrush, Script or Toon. I have selected Bristlebrush. You will find multiple options similar to this within most categories. 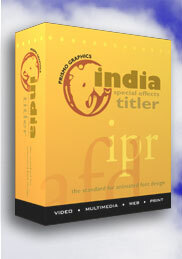 Furthermore, India Pro releases additional fonts, objects and textures on CD's about every other month. These can be purchased and easily installed into India Pro to allow for a growing library of amazing options and creative effects. When you add a track, you will have a new active line running across your window. In this example, I selected a "Wordwand" flame that will flash across the screen behind the text. STEP SIX: Determine what sort of background you want. This could have been done at the beginning. 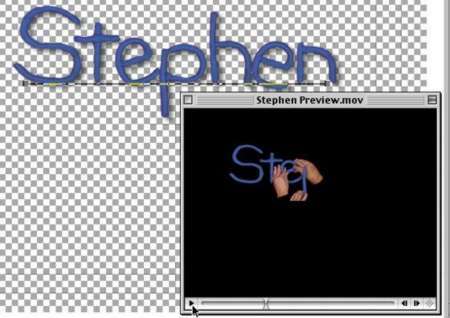 But with this example, I decided I wanted my text to have a transparent background when I imported it into Final Cut Pro. All I needed to do was go to the "Background Controls" button and make a selection (see mouse pointer above). I could bring in an image for a background, use a solid color (like the goldish yellow background I began with), or I could make it transparent. I also decided to change my text from yellow to red (see below). All that this required was selecting my text track, then going to the "Colorize" controls (just to the right and slightly above the "Background" controls as seen in the window above) and select my desired color. Nothing could be easier. One of the things I really like about India Pro is that each individual letter or object can be adjusted as desired. It is highly intuitive. Just click on the item (as I've done on the "M" above) and then select the corner handles and resize or rotate to your hearts content. For positioning, it is also very easy to move the various elements around. Since I am wanting the "Wordwand" flame to be behind my word rather than below it, I just click and drag until it is where I want it to be (or, in this case, where I want the flame to end once the animation is complete). And to move the "Wordwand" flame behind my word, I just go to Object > Send Track to Back (see results below). STEP SEVEN: You can create some very amazing looks with just the "Flavor" and "Category" elements addressed above. But the developers of India Pro did not stop there. 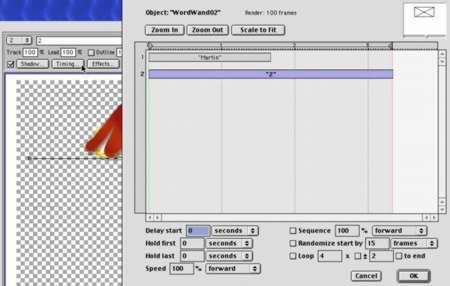 There are also more than 150 effects that you can add to make your text or objects "BumpNgrind," act like jumping beans, bubble, wave, spring up, fade away, swirl, twist, fly away, ricochet, rotate - and much more. No difficult or time-consuming key frames to set. Just select the effect you want and voila!! And to help you with your selection, each of the effects are visually demonstrated when you select them (in the lower left window above). This is one place where a render/preview is not required to see the look of the effect. So you can quickly decide if it is the look you want. STEP EIGHT: The "Timing Button" (see mouse pointer at upper left) opens up the Timing Window. This is a very intuitive way to adjust the timing of all your elements. 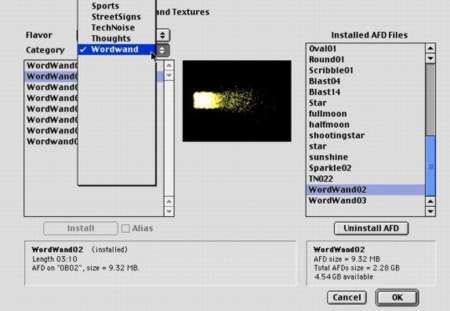 For example, I can set exactly when the "Wordwand" flame comes in behind my letters, how fast it comes in, if it comes in from the left or right, etc. I can also adjust when my "Martin" letters "walk in." Do I want them to all come in at once or one at a time. How long do I want my total project to be? Ten seconds? Thirty seconds? I found that the Timing Window required some initial study to understand. But after experimenting with it for 45 minutes or so, I was able to begin using it quite effectively, getting the look I wanted. Each track in your project will have it's own bar in the timing window, allowing for maximum adjustment and tweaking for each of your elements. The Timing Window allows you to add those finishing touches that help make your project fit your parameters - and really zing. STEP NINE: Now is the time to take a quick look at what you've created. (Truth is, you will probably be doing this several times before now as well, in that India Pro does not allow you to see the full motion of your various elements until you do a preview/render.) Although the Quick Review goes quite fast, this is one of the frustrations with India Pro - the need to frequently preview/render. I found myself doing lots of Quick Previews to see how things were looking, and to check my timing. My guess is that the more familiar I become with the software, the less Preview I may need. The good news is that the next version of this software will include a timeline scrub bar that will allow you to see how things are looking without a preview/render. Very good news. After the Quick Preview is done, up pops the play window like the one above right, allowing you to view your project. STEP TEN: Once you are satisfied with your project, select "Make Movie" rather than "Quick Preview" from the Project window. Based on the preferences you have set, it will export your project as a QuickTime - or AVI, Targa, PhotoJPEG, plus additional formats. With a converter, you can also use your India Pro projects as gif animations for the web. For me, once it had been exported, I simply imported it into Final Cut Pro just as I would any other QuickTime file. 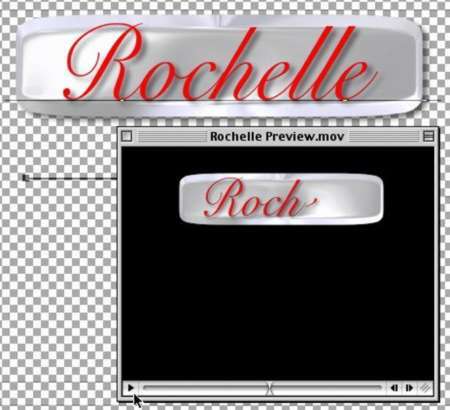 If desired, I could resize it or add some additional movement within FCP. But in most cases, I would use it just as it was created within India Pro. This is a wonderful new tool that will help provide my productions some added flair and pizzazz. To be honest, some of the effects are a little on the hokey side, probably ones I would seldom, if ever, use. 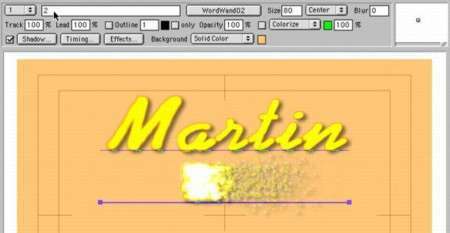 But there are many text effects, with varying degrees of dazzle, that will find a perfect place in my upcoming projects. In fact, there are approximately 1300 possible animated effects currently available. And the total library of fonts is continually growing as India Pro releases new DVFonts, Objects and Textures several times a year. ABOVE: This is an example of a "Mechanical" Category DVFont, which reveals the word like an odometer on a car. I've added a small yellow "explosion" that occurs near the end, between the two "F" letters. ABOVE: Another of the very cool text effects is the ability to create a word from hands working with clay. Again, you can adjust the speed in which this occurs in the Timing Window (see Step Eight above). 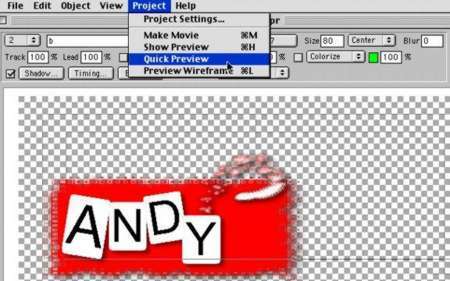 This example is from the "Real World" Category DVFont entitled "Clay." It looks quite complicated, but only takes a few minutes to create. ABOVE: This is an easy-to-create look that appears as if someone is hand-drawing a circle around the word. I have also added a"star/sparkle" effect that comes near the end of the project. ABOVE: Although it is one you would not want to overuse, this is a very eye-catching effect. Monitors pop in (from any or all four sides as you determine) then twirl to show the text face. Then they twirl again and pop out of view. By using the Timing Window, you have full control over how fast these elements come in and out, as well as the amount of time between each monitor. Many of the fonts, including this one, can also be used to create continuous sentences. I've not covered all the aspects of this program. 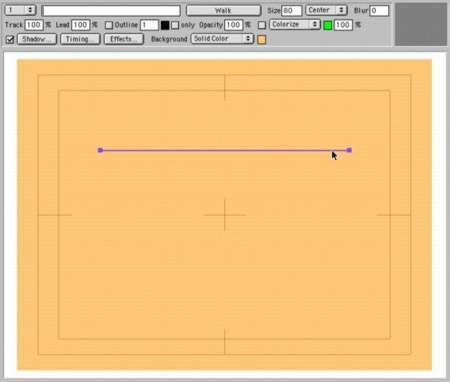 For example, you can easily add Bezier handles to your tracks for curved movement; add shadow and lighting effects by using the Shadow or Effects tools; and create your own DVFonts to distribute to others (using the included FontScript tool). You can learn more about these abilities at their web site. Should You Wait For Version 2? As mentioned earlier, there are some improvements needed in this first version (some of them coming in version 2). But if both flashy animated text and shortening the time to create are important to you, this is a program that you will want to seriously consider. It opens up a whole new world of possibilities with minimal time requirements. I have already found many ways that I can put this cool tool to use in my productions where something more than static text - eye-appeal - is required.